Beginners should start with NOOBS – New Out Of the Box Software. You can purchase a pre-installed NOOBS SD card from many retailers, such as Pimoroni, Adafruit and The Pi Hut, or download NOOBS below and follow the software setup guide and NOOBS setup guide video in our help pages. Note: Raspbian and NOOBS contain Java SE Platform Products, licensed to you under the Oracle Binary Code Licence Agreement available here. Mathematica and the Wolfram Language are included in this release under license and with permission of Wolfram Research, Inc. and may be used for non-commercial purposes only. 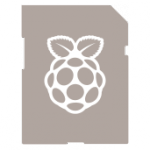 By using this software you agree to be bound by the Wolfram Raspberry Pi Bundle Licensee Agreement available here.